cancer a few months ago and beat the first round with Chemo and no radiation was needed. The doctors advised her that she would need to wait a little over a month to have an MRI and cat scans to make sure it was all gone. Last month she had the necessary testing done and has now found out that she has two brain tumors and will need chemo therapy again. They may also have to do a bone marrow transplant. We aren't sure how well she is going to be throughout the next six months or so, but we would like to raise enough money to help with her medical bills as well as send her on an awesome trip of her choice while she is well enough. She is an amazingly strong person and has stayed positive through her journey. She is one of the most caring, loving people on this planet and deserves to stay healthy and happy. Please help her along her journey and show her how amazing the world really is. Thank you so much for your time. Please share Harmony's page again. We have learned that her care in downtown Seattle may not be covered by insurance and she will need at least the full amount we are asking for. Please help donate this holiday season as she will be fighting for her future. Thank you so much. 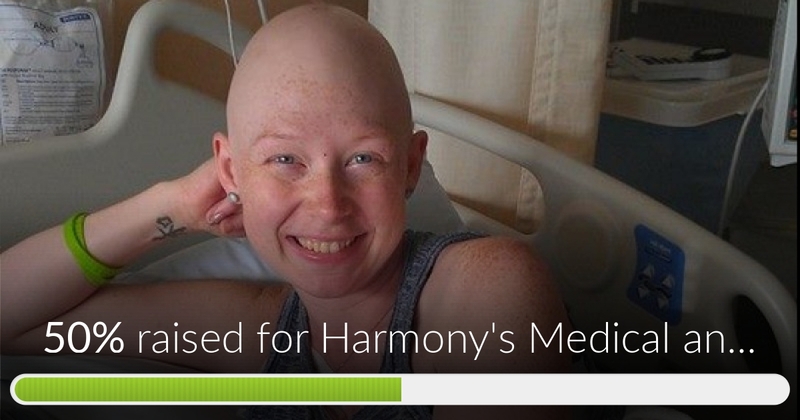 Harmony's Medical and Trip Fund has reached 50% of it's goal. Thanks to KATE'S, Joshua and Juahn. Hey everyone! Just wanted to do a new update for everyone who stops by. Harmony has finished her radiation treatments and her tumors have shrunk! It's great news! She will now have to do another round of chemo and will then start going to the Seattle Cancer Care Alliance in downtown Seattle on November 18th. 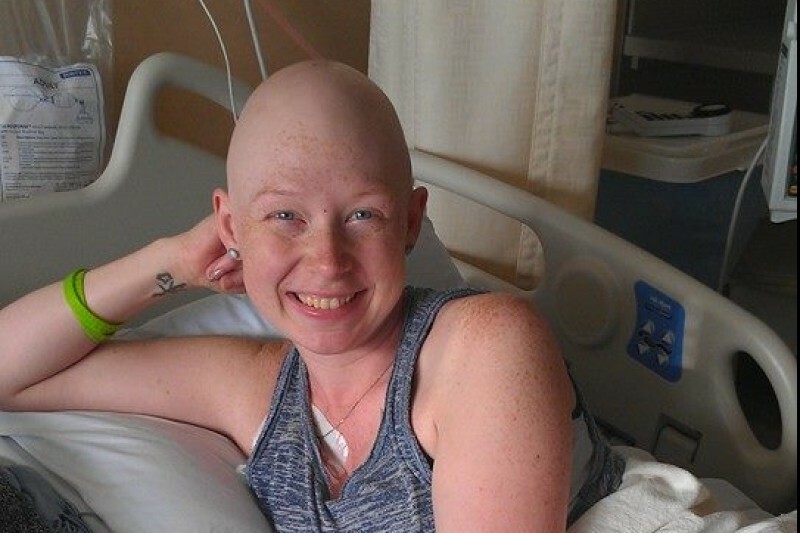 She will have to move to Seattle the middle of December and will have to have caregivers at all times as she will be undergoing stem cell transplants. This is huge for Harmony as she will start to possibly lose short term memory and will have to have her entire immune system rebuilt. Please make a donation to help her through all of this. And thank you to everyone who has donated and shared this page!! Happy holidays to all! A new update for everyone here. Harmony is doing well and continues to keep a positive attitude throughout her treatment. She has seven radiation treatments left and will be discussing the options of a stem cell transplant. Please keep her in your thoughts and prayers. Also please continue to share this post as we are halfway with the goal. Thank you everyone and have a wonderful holiday season. Love you girl! Stay strong! Keep fighting. We're praying for you!